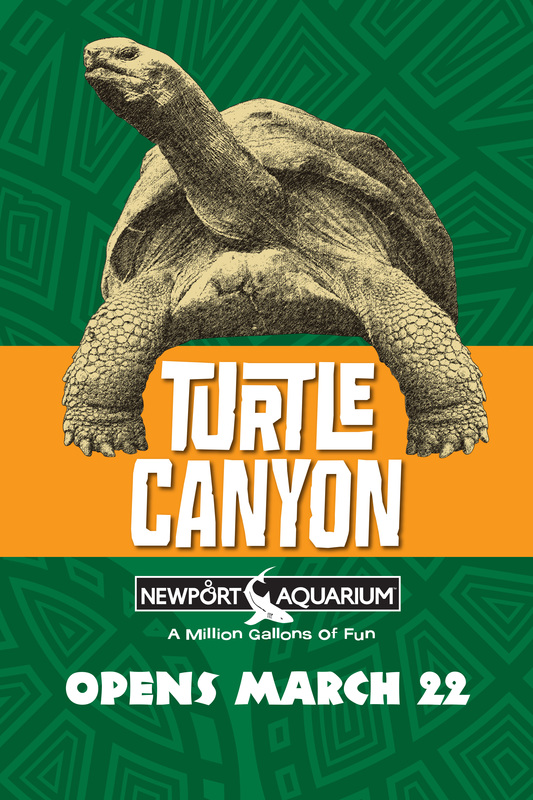 NEWPORT, Ky. – Newport Aquarium announced Tuesday, Feb. 18, the addition of Turtle Canyon, a thrilling new exhibit set to open to the public March 22, 2014. Turtle Canyon will feature a diverse collection of more than 14 species spanning three continents. From the largest tortoise species in the world, the Galapagos tortoise, to the smallest tortoise species in the Northern Hemisphere, the Egyptian tortoise, Turtle Canyon will showcase turtles of all shapes and sizes. Following a renovation of the Rainforest exhibit, Turtle Canyon will allow guests to view turtles up close and personal from multiple angles and vantage points. The new exhibit will include a turtle corral, which offers guests the unique opportunity to touch a variety of these adorable shelled creatures, including one of North America’s largest tortoise species, the Gopher tortoise. Two massive turtles are set to anchor the exhibits inside Turtle Canyon, giving Newport Aquarium a total of three of the largest turtle species in the world. A 118-pound alligator snapping turtle named Thunder will make his new digs at Turtle Canyon. 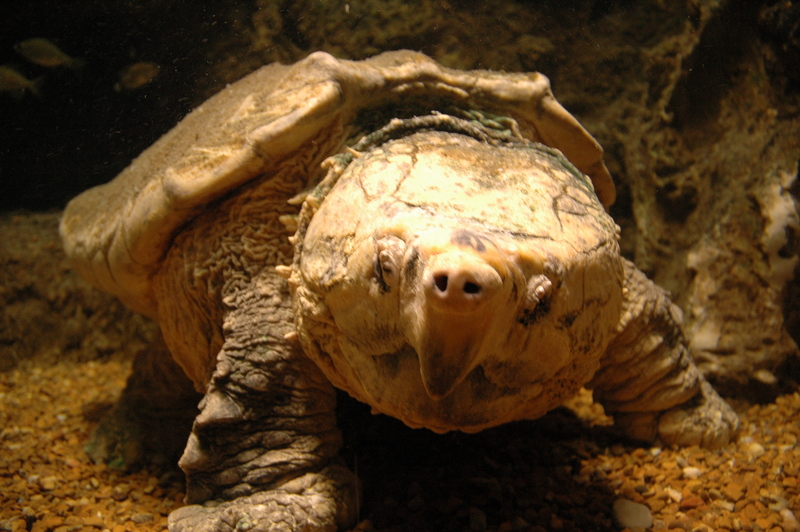 Believed to be more than 100 years of age, Thunder is the oldest resident at Newport Aquarium. Newport Aquarium mainstay Denver, the mischievous 200-pound loggerhead sea turtle with a three-foot-long shell, will continue to roam the waters of the Surrounded by Sharks exhibit. When he first arrived at Newport in 2003, Denver was treated for an air pocket caught under his shell that made it difficult for him to dive and swim. Now completely healed, Denver serves as the aquarium’s ambassador to its sea turtle conservation efforts. The newest member of the aquarium’s turtle family is a sixth-month-old, 1.9-pound loggerhead who was put on display at the Shore Gallery exhibit on Tuesday. After hatching in August at Emerald Isle, N.C., this female loggerhead has been fostered by the Newport Aquarium husbandry staff since late October. Her journey of survival has been documented on Newport Aquarium’s official blog, aquariumworks.org. Newport Aquarium needs your help naming its young loggerhead sea turtle. Fans can vote on Newport Aquarium’s Facebook page from Feb. 18-24, 2014. 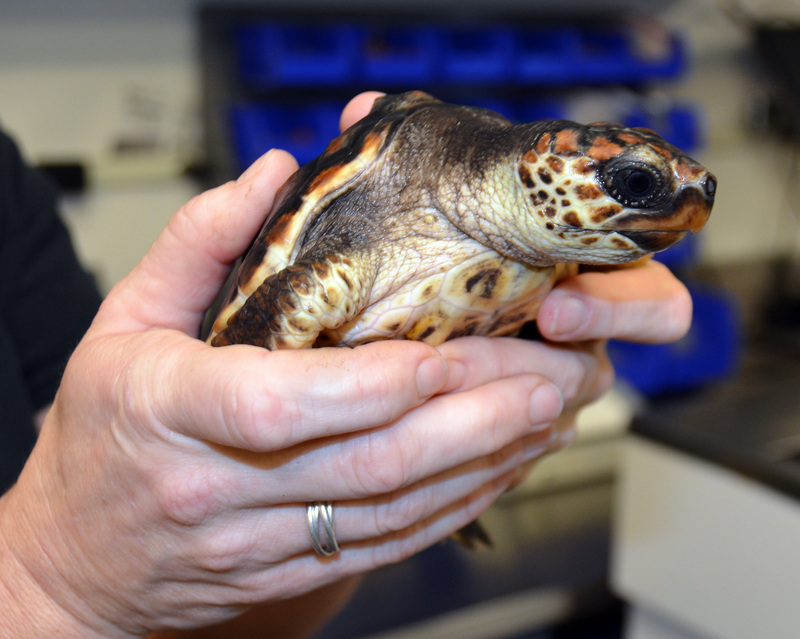 Fans can help name this young loggerhead by voting on Newport Aquarium’s Facebook page. Voting begins Feb. 18 and runs through Feb. 24. For more information on Turtle Canyon, visit NewportAquarium.com or call toll free 800-406-FISH (3474). Visit the aquarium’s Facebook page for #TurtleTuesday posts. 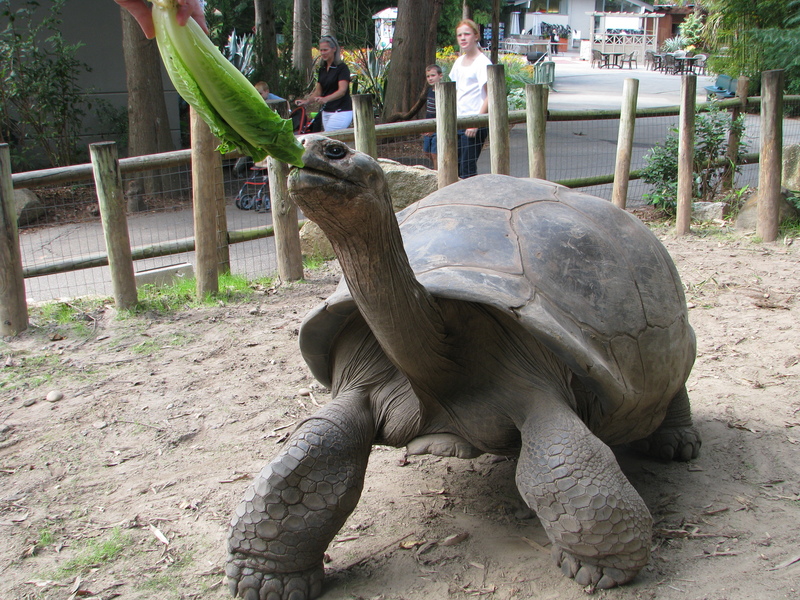 This entry was posted in Turtles and tagged alligator snapping turtle, Ecuador, Egyptian tortoise, exhibits, facebook contest, Galapagos tortoise, Gopher tortoise, Loggerhead sea turtle, Santa Cruz Island, turtle, Turtle Canyon, turtles by NewportAquarium. Bookmark the permalink.